I drew my little sister, Emma. 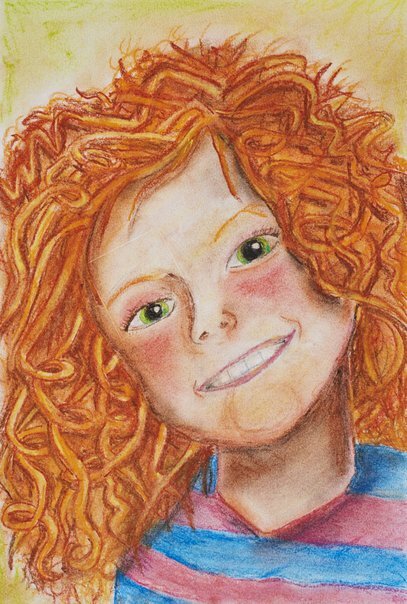 Her wild orange curls are featured in my soft pastel artwork to show her energy and vibrant personality. Her rosy red cheeks and kind smile show her fun, excitable behaviour. I made sure to incorporate as many colours into my artwork as possible to show how unique she is.